In the late 1990s, the first biologic drug went on the market to treat rheumatoid arthritis. Enbrel (etanercept) was first, but it did not take long for other biologic drugs to be developed and marketed. "Biologic response modifiers, also known as biologics, are medications that were designed to prevent or reduce the inflammation that damages joints. Biologics target molecules on cells of the immune system, joint, and the products that are secreted in the joint, all of which can cause inflammation and joint destruction. There are several types of biologics, each of which targets a specific type of molecule involved in this process (tumor necrosis factor, interleukin-1, and cell surface molecules on T and B lymphocytes)." Enbrel (etanercept), Remicade (infliximab), Humira (adalimumab), Simponi (golimumab), and Cimzia (certolizumab pegol) are biologic drugs that target tumor necrosis factor (TNF). They are commonly referred to as TNF blockers and, typically, one of the TNF blockers is the first biologic drug tried. Kineret (anakinra) inhibits interleukin-1. It is generally regarded as a less effective biologic than TNF blockers and not often prescribed. Orencia (abatacept) interrupts the activation of T cells. Usually, Orencia is reserved for patients with moderate to severe rheumatoid arthritis who are unable to manage their disease with methotrexate and a TNF blocker. Rituxan (rituximab) depletes B cells. Again, this drug is typically reserved for patients who have an unsatisfactory result with methotrexate and a TNF blocker. Actemra (tocilizumab) works by inhibiting the interleukin-6 receptor, thereby blocking interleukin-6. Who Should Be Treated With Biologics? Patients who have had an unsatisfactory response to DMARDs (disease-modifying antirheumatic drugs), either alone or in combination with other arthritis medications, are usually good candidates for biologics. Compared to DMARDs, biologics work more quickly. You should know whether you are responding within weeks of starting a biologic drug. Who Should Not Be Treated With Biologics? Unfortunately, there are patients who are not good candidates for treatment with biologic drugs. There are certain conditions where the risks would most likely outweigh the benefits of treatment with biologic drugs. For example, patients with a prior history of multiple sclerosis or lymphoma would not be good candidates. Patients with symptomatic congestive heart failure are also not good candidates. It's also too risky to use biologic drugs when a patient has a history of severe or recurring infections. Which of the Biologics Should You Use? Your doctor will help you choose the best biologic for you. Cost is certainly a consideration. You and your doctor must determine if your health insurance will cover the drug you choose—or what your out-of-pocket expense will be. Be sure it is affordable for you. Another consideration is convenience. How is the drug administered? 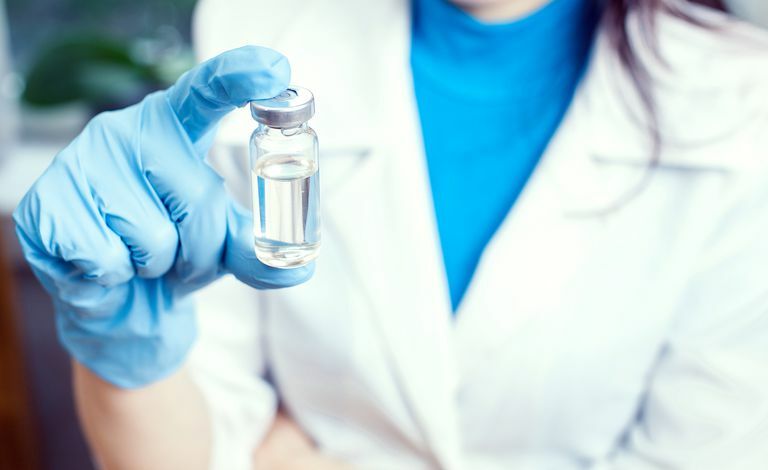 Do you have to go to the doctor's office for treatment or would it be better for you to choose one of the biologic drugs that is administered as a self-injection? How often is the drug administered—once a week, twice a week, every two weeks, or monthly? What's your preference? Also, is it important for you to choose a drug that has a good track record, in other words, one of the older, rather than newer, biologics? These are all things to consider because if you choose what suits you best, you will more likely remain compliant with your treatment. Maini RN and Venables PJW. "Patient information: Rheumatoid arthritis treatment" UpToDate.